Think twice the next time you decide to throw away a perfume bottle. You’ve enjoyed the fragrance in it for months and probably did not take a second look at the bottle. But if you learn what goes into bottle manufacturing, you’ll consider it a work of art. The bottle is not made of ordinary commercial glass (like a beer bottle) – it’s made of specialty glass that use exquisite raw materials like lime, dolomite, soda, and cullet (broken glass), in addition to silca sand. It’s made in scorching furnaces that maintain a constant temperature of 1,500 degrees Celsius throughout the year. And it is made in carefully controlled and monitored environments, with precision manufacturing processes. Manufacturers aim to reduce wastage and increase the batch yield. But that’s not easy to do as glass manufacturing is a complex process with many interactive variables. Here’s the story of how Piramal Glass has achieved manufacturing excellence using digitally-enabled processes, with help from Microsoft. Piramal Glass Private Limited is a global specialist in design, production and decoration of premium glass packaging (flaconnage) equipped with end-to-end glass packaging solutions for Pharmaceutical, Cosmetics & Perfumery, and Specialty Food & Beverage industries. It has a presence in over 50 countries under the globally recognized brand name of “Piramal Glass”. The company is the largest specialty glass player in Asia, and one of the fastest growing companies in the world. Piramal Glass strives to become the world’s most preferred supplier of glass flaconnage through continuous value addition, superior quality and unmatched service. To achieve this, it has deployed Microsoft’s Azure IoT platform to digitally transform its manufacturing operations. It claims to have recovered the investment in technology in just 8 months. “Of the top 20 perfume manufacturers in the world, 17 are our customers. Every third bottle of nail polish in the world uses our bottles,” said Vijay Shah, Director – Piramal Glass & Executive Director – Piramal Enterprises Ltd.
Piramal Glass began with pharmaceutical glass packaging and later moved on to cosmetics and perfumery. For the last 20 years it has been manufacturing elegant perfume bottles for brands like Dior, L’Oreal, Yves Rocher, Elizabeth Arden and others. According to Shah, Piramal is one of only four companies in the world that make Type-1 Borosilicate glass, a very high quality glass used for injectables. With best in class manufacturing facilities and configuration of technology, design, and layout, Piramal Glass strives to meet and exceed its customers’ expectations. The Company is on a mission to become the world’s most preferred supplier of glass flaconnage through continuous value addition, superior quality and unmatched service. In 2017, Piramal realized that the only way to achieve this level of excellence was to embrace digital. But it wanted to do this in a holistic manner and use digital to transform not just manufacturing, but the whole company. Sheth and his team created a digital roadmap. They conducted almost 35 roadshows across Piramals facilities, offices and manufacturing plants — to educate people on what is digital and how it would benefit their role and transform their function. Following that, they conducted almost 60 ideation workshops, with cross-function teams. They organized design thinking workshops — to discuss the challenges and how these could be solved with digital. And they identified 65 initiatives and prioritized these. “We created a digital vision to create an insights driven organisation, led by customer centricity and operational excellence by using digital as a fabric. We are trying to become a change agent and trying to identify a new way of doing things and see how we can transform the entire business, and not just manufacturing,” said Sheth. 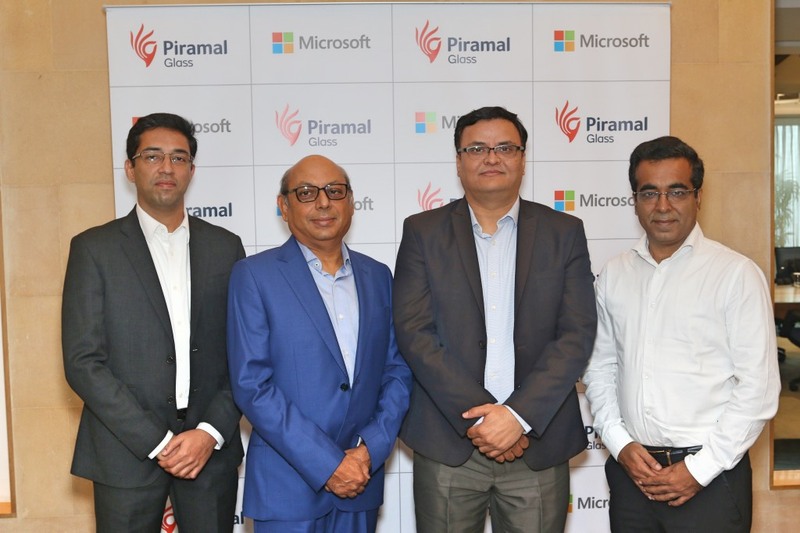 Piramal Glass deployed Microsoft’s Azure IoT platform to digitally transform its manufacturing operations. 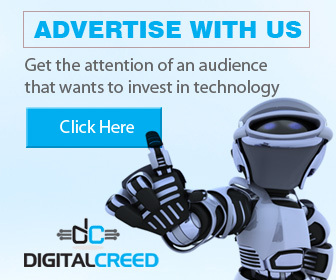 It claims to have recovered the investment in technology in just 8 months. An early adopter of the technology, Piramal Glass has currently implemented the solution, Real-Time Manufacturing Insights (RTMI), on 46 production lines across their four plants at Kosamba and Jambusar in Gujarat, India, Sri Lanka and the United States of America. The plants have an overall capacity of 1,375 tons per day, with 12 furnaces and 60 production lines, all of which run on a 24/7 basis. “We are happy to have collaborated with Microsoft on our journey towards digital transformation and business critical future readiness. 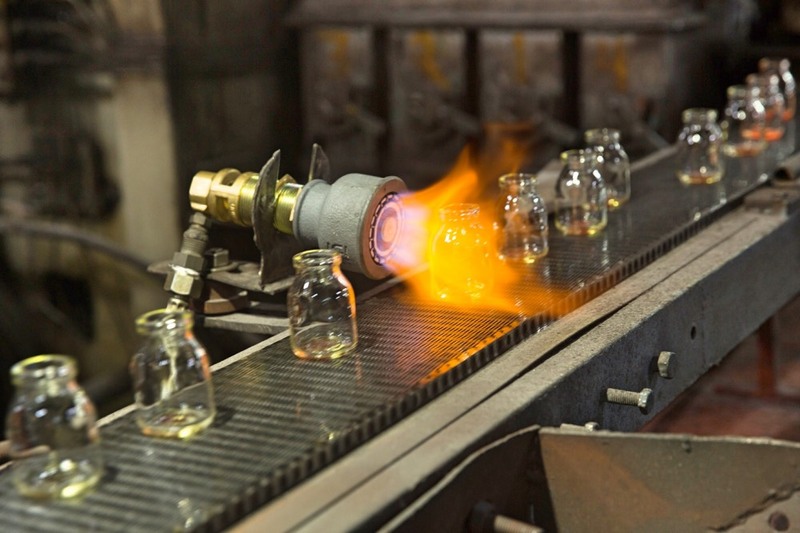 Glass manufacturing is a complex process with many interactive variables. Combining digital technologies with precision high-quality glass manufacturing, has helped us fortify our accelerated growth path,” said Shah. Piramal Glass has progressed rapidly on its Digital Transformation journey and has made substantial investments in IoT as well as other digital technologies. While many of its digital initiatives started as experiments, a number of these have been scaled up, namely, computer vision to improve worker effectiveness, persuasive technologies to drive innovation, bots to enhance employee productivity & AI to create a manufacturing process Digital Twin.